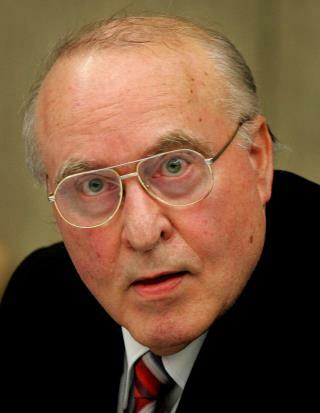 (Newser) – Ernst Zundel, a far-right activist who rose to notoriety over decades of public neo-Nazi activity in Canada and the US before being deported back to his native Germany on Holocaust denial charges, has died at age 78. Media in Canada quoted a statement from his wife, Ingrid Zundel, saying that he died of a heart attack at his home in Baden-Wuerttemberg on Sunday, per the AP. His wife, who lives in the United States, told CTV news she had spoken to her husband "just hours before he passed on and he was as optimistic and upbeat as ever." Born in Germany in 1939, Zundel emigrated to Canada in 1958—allegedly to avoid German military service—and lived in Toronto and Montreal until 2001. Through it all, everybody wants to come live in the USA. I notice the wife stayed after the husband got deported. Whatever happened to the notion that the two become one? I hope they didn't reproduce. If the Holocaust happened, then there should be no problem in scrutinizing, questioning and even debating it. You can deny the existence of God and nothing will happen to you. But, if you deny the Holocaust, you can be put into prison.